On Wednesday, Google UK announced on Google+ that it was trialing Certified Shops badges on a select group of UK retailers. The news has naturally made headlines as Google inserts itself once again into another area of retailing that it plans to dominate in the coming years. Whether you feel positive or negative towards Google strengthening its role as the Charon of Digital Marketing by pushing Certified Shop badges onto UK retailers, the truth is that joining the program will likely become inevitable. Consumer trust has become a major issue inin recent years, punctuated by this year’s privacy revelations around the world. Helping consumers make purchase decisions through a third party trust mark makes a significant difference in conversion and purchase rates. And while many companies that offer paid subscriptions to their trust badge services (such as Paypal, Verisign and McAfee) will be greatly affected, opinions still vary amongst marketers and retailers over the benefits of giving more of their back-end data to Google, and how their customers will respond. 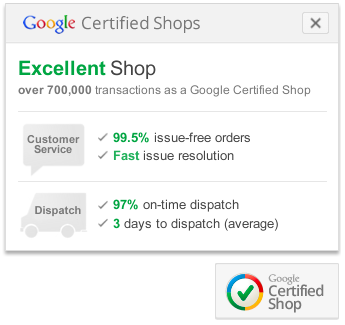 I have put together a list of articles and posts that address different aspects of Google’s Certified Shops program, and it’s US cousin, Google’s Trusted Stores program that has already been in effect since 2011. While it can be debated whether Google plans to take over UK retail with Google Certified Shops badges, the signs are that it will become a commonplace addition to online shopping in the coming years. What Google will be doing with the mounds of data it is collecting from online retailers is yet unknown, but the added benefits currently outweigh the disadvantages of not being included. Please let us know your opinions on Certified Shop badges and how you think they will affect online retailers in the coming year.